Get up to $9,999 Cash For Camper Vans Melbourne wide. Cash For Cars VIC pays you to come to remove your camper van and puts instant cash in your hand. We are your campervan removal company that doesn’t skip a beat when it comes to high payouts and exceptional services. You can sell you camper vans easily now with Cash For Cars VIC. We are Melbourne’s leading removal company that pays instant Cash For Camper Vans Melbourne wide of all makes and conditions. It is as easy as giving us a call to receive a quote for your camper van to get the cash. We pay cash on the spot at the time we come to you to remove your van. Give us a call, and we’ll make you an offer up to $9,999 cash. There is no need to look for towing when you sell your camper van to Cash For Cars VIC. We are a removal company in Melbourne, Victoria that pays Cash For Camper Vans Melbourne wide and offers free car removals. We come to your location anywhere in Melbourne, Victoria, at a time that suits your schedule to remove your van. When we buy a van, our technicians arrive fully prepared to purchase it from you. All paperwork, including a sales contract that states you are selling the van to Cash For Cars VIC and all liability of the van, will be transferred as well as the cash amount to put into your hand. Contact us for a Cash For Camper Vans Melbourne wide. We will need you to provide the make, model, year, and condition of the van. Schedule a free car removal anywhere in Melbourne. It is that simple to sell your van to us. Cash For Cars VIC is a removal company in Melbourne that is a leader in the industry. We are an established company that believes in providing our customers with top cash dollars for camper vans of all makes & conditions. Our team is a team of professionals that love quoting high prices for vans and providing quick and convenient removals. It is our motto to make the selling process the easiest, most pleasant experience. Free car removals anywhere in Melbourne – you let us know when you’d like us to arrive to remove your van. 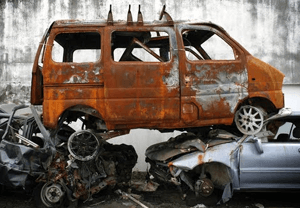 Free car wrecking – our expert wreckers fully dismantle camper vans to recondition and recycle, putting the most cash in the hands of our customers. Free camper van recyclers – we are the recyclers that practise green camper van recycling, so your van’s disposal will be eco-friendly. Free paperwork – with us providing all legal paperwork you have no concerns that the deal is not legal. You simply read and sign. Cash 4 Cars VIC will require camper van owners to provide us with the title of ownership for their van, as well as be able to provide us with a proof of driving license. Also, the plates for the van must be removed. All other paperwork and heavy work of loading and transporting the camper van will be done by Cash For Cars VIC. For more information on our services or to get a quick cash quote give us a call at the number below or complete our “Get a Quote” form at the top right of this page. One of our friends recommended me Cash 4 Cars Vic. We got more than expected cash and hassle-free, super impressive service. Thanks, guys! Good cash, great service, couldn’t have asked for a better way to get rid of our car. Would definitely recommend Cash 4 Cars Vic! Thank you! Copyright © 2017 - 2019 Cash 4 Cars VIC. All Rights Reserved.